The ASTI and the TUI said they were not going to ballot their members on the Haddington Road Agreement. 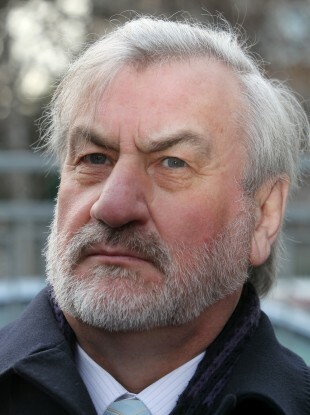 Chief executive of the Labour Relations Commission Kieran Mulvey. THE CHIEF EXECUTIVE of the Labour Relations Commission has said he was surprised by the decision of two teachers’ unions not to ballot their members on the revised public sector pay deal. The ASTI and the TUI said its members would reject the Haddington Road Agreement as the proposals were not improved sufficiently on those contained in the previous version of Croke Park II. The ASTI had voted 84-16 against the original deal, while the TUI had rejected it 86-14. It decided not to cast another vote. “They haven’t said no. They just said they wouldn’t ballot their members on whether they should say yes or no,” Kieran Mulvey told Marian Finucane on her RTÉ Radio One show this morning. “I’m quite mesmerised by that decision because the fundamental role of any trade union is to consult their members and to ask their opinions. It would look strange I think in the firmament of industrial relations and collective bargaining actually that union members don’t vote. He said he believes the proposals are materially different to what came before them. Yesterday, junior minister Brian Haye warned that less favourable conditions will apply to unions who reject the deal. The rejection of Haddington Road by the two secondary unions deepens the divide between primary and second-level teachers. The INTO, the sole union representing the primary sector, said its members ought to approve the new proposals. Email “LRC chief 'mesmerised' by teachers' decision ”. Feedback on “LRC chief 'mesmerised' by teachers' decision ”.